Last year I discussed this idea with the members of the International Spouses of Ghanaians (ISAG), who were most helpful when I was applying for permanent residence eight years ago. Now a handful of us agreed, it would be good to become Ghanaians! One of us went to enquire at the Ministries about the process, another talked to someone who just passed through the process. 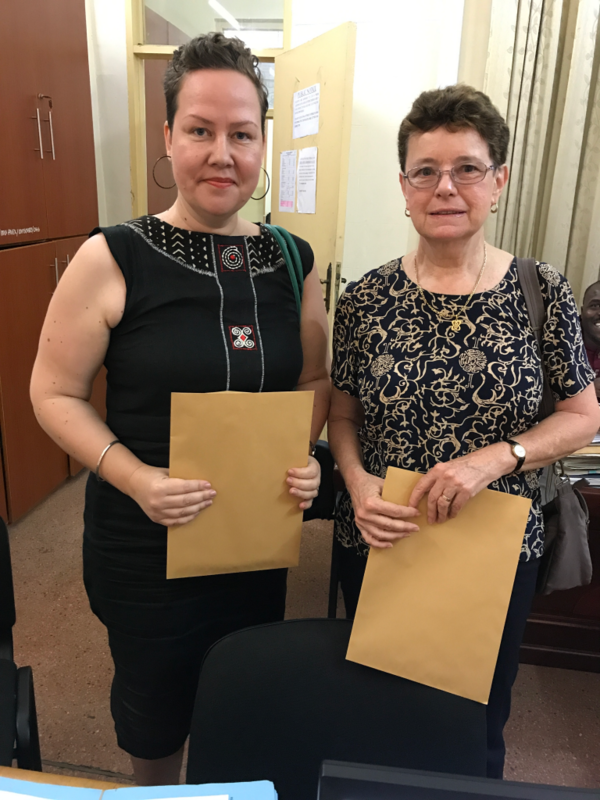 We were happy to find out that it would not take more than six months and cost GHS 3000, a quite reasonable sum for adding the rights and responsibilities of a whole new country to your person. 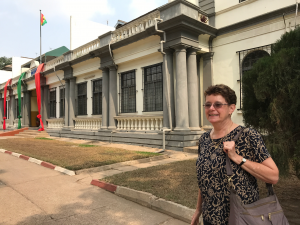 Why going for a Ghanaian citizenship? 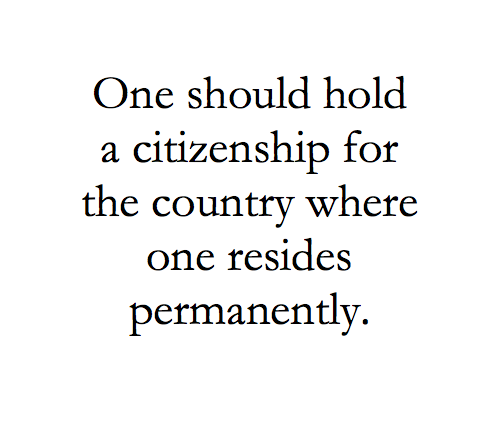 I can think of many reasons ( I will list them all below), but it is based on the general feeling that one should hold a citizenship for the country where one resides permanently, and return readers will know I have lived in Ghana for 10 years now. I live in Ghana and would like to hold all the rights (like voting) and responsibilities (like being involved in local government) as others who live here. My current status could be revoked. I hold an Indefinite Residence permit, but have to ask permission to leave Ghana for more than one year. The Ghanaian government could say they don’t like my reason for staying away, and revoke my indefinite residence permit. If I get divorced, I am also not sure what happens to the indefinite residence permit as it is based on being a spouse of a Ghanaian. 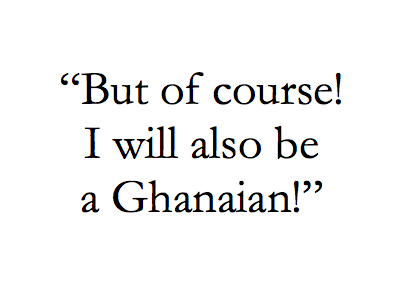 My children and spouse are Ghanaians. At this stage, my husband has no reason to apply for Swedish nationality, but it would still be practical and nice to all have the same citizenship. Easier African travel is a plus! Together with my fellow applicant Nancy we signed in at the Ministry of Interior at 10.20am. We were directed to Room 17 to share details. In the small office, three officers sat by their desks. 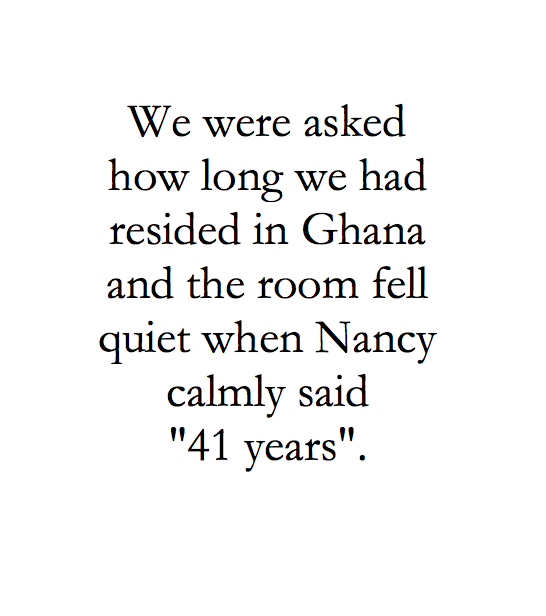 We were asked how long we had resided in Ghana and the room fell quiet when Nancy calmly said “41 years”. My 10 years seemed feeble in this context. We were asked for our nationality and brought our passports to show our full legal names. There was a Notice on the wall that a third party cannot come for the registration or naturalization form. We were told to go to Room 24 to make payments. After we had paid the GHS 3000 and been issued with a receipt, we went back to the first room, obtained a checklist (see below) of all the documents we need to attach to our application, a form for sponsors to fill, and the application form. We asked some questions to clarify. 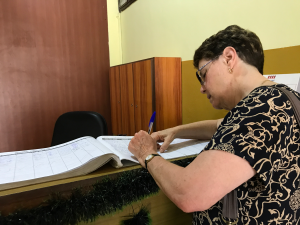 We found for instance that although not specified in the checklist, we also need a police report, two sponsors to fill forms AND write letters on our behalf. Sponsors should ideally be a senior government officer and a lawyer. After only 25 minutes in the ministry we had come to the end of the first step of the process, we asked one of the officers to take a photo of us with our brown envelopes containing the application forms to let us remember this big day and at 10.46 am we signed out! The first step definitely was most fact-finding, psychological and personal, and just to a small extent administrative. The process seems to be quite straightforward, the hardest part at the ministry was finding parking! Now I have some work to do to complete my application. I will keep you posted on the next steps. If you have any questions, please post them below and I will do what I can to help. Checklist: Requirements (taken from the Ministry of Interior’s website). (1)He is of good character, (2) he is ordinarily residence in Ghana, (3) he has been resident throughout the period of five years or such shorter period as the Minister may in the special circumstances of any particular case accept, immediately before the application, (4) he can speak and understand an indigenous language of Ghana. I have a question though; how does this affect your possibility to travel back to Sweden (for holidays, emergencies etc)? Do you need to apply as any other Ghanaian or would you as a post-Swede get some kind of benefits with regards to traveling to Sweden? Congratulations on your decision to apply for Ghanaian citizenship. I fully endorse all of the reasons that you offered to support your decision. I agree completely that “one should hold a citizenship for the country where one resides permanently,” – that was the most compelling reason for my unsuccessful application for citizenship when I resided in Ghana. I wish you more success than I experienced. Do keep us posted on the process. Thanks for sharing, I’ll be there next week! I lived in Ghana for 5 years and its a country I would want to live in the rest of my life given the chance, True it is rich in culture..
Hello Ida! I am keeping my Swedish citizenship. Both Sweden and Ghana accept dual nationality. So there will be no difference for traveling to Sweden. My understanding is that the only “loss” would be if I travel into a third country on my Ghanaian citizenship, Swedish authorities will not be involved in any way should something happen. I have considered this and think such a situation is very rare. Also, I know these globalized days, Sweden and Ghana both have few resources to help citizens abroad. If I think it anyway would matter, I still have the option to travel on my Swedish passport (plus a visa if needed). Congratulations on taking such an important step. Reading through the requirements it says that you should speak at least one Ghana language. 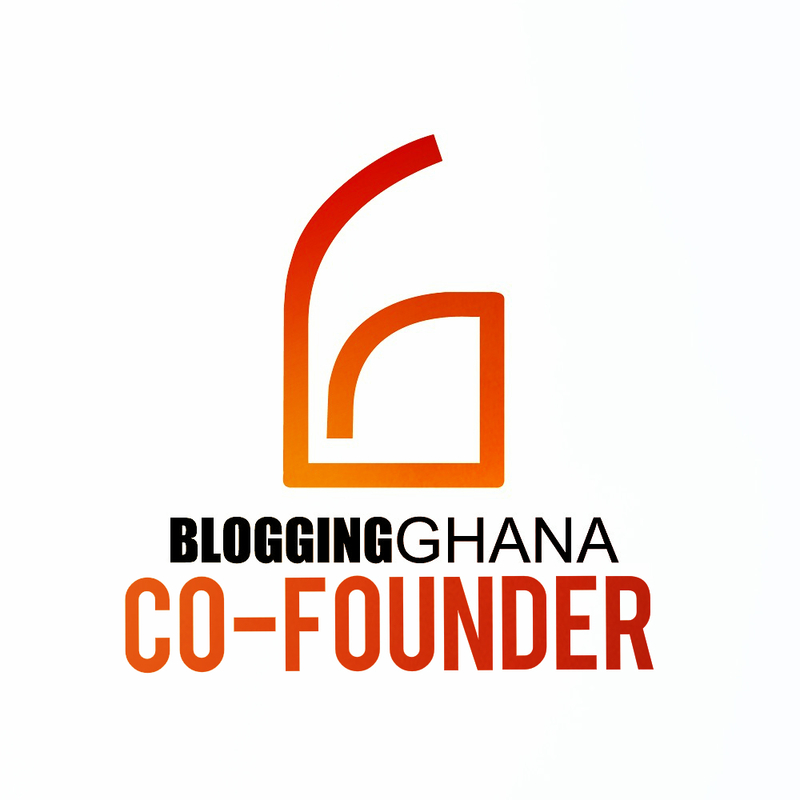 Do you speak any Ghanaian language? Anyway all the best. I think it`s a huge step. I`m very glad for you. I have read some more successful stories too And they really make me happy! All the best.